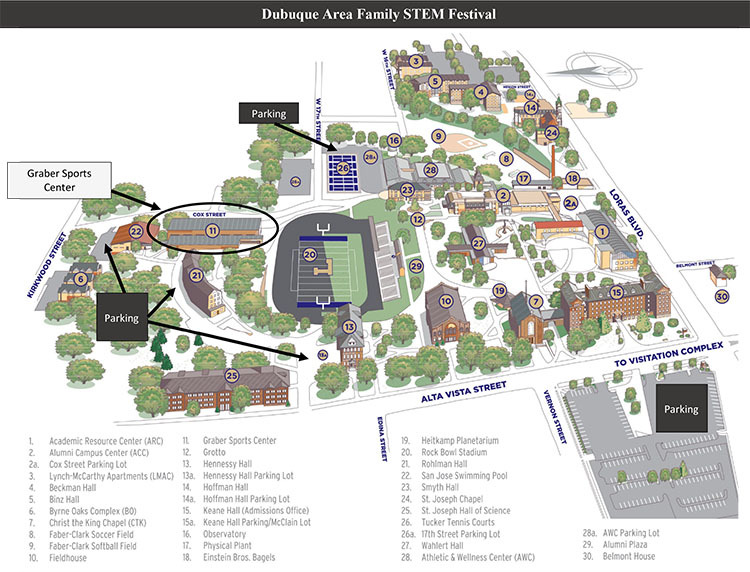 The STEM Festival occurred on Saturday, April 6, 2019 from 10:00 AM - 2:00 PM in Dubuque. The festival was free and open to the public. The goals of the STEM festival were to promote, inspire and engage youth in Science, Technology, Engineering and Mathematics activities and to introduce students and parents to STEM careers in the community. Exhibits presented hands-on STEM activities.